Sometimes the internet is a neat place. We hit a local antique store today that does a monthly market called Brocante Vintage Market. 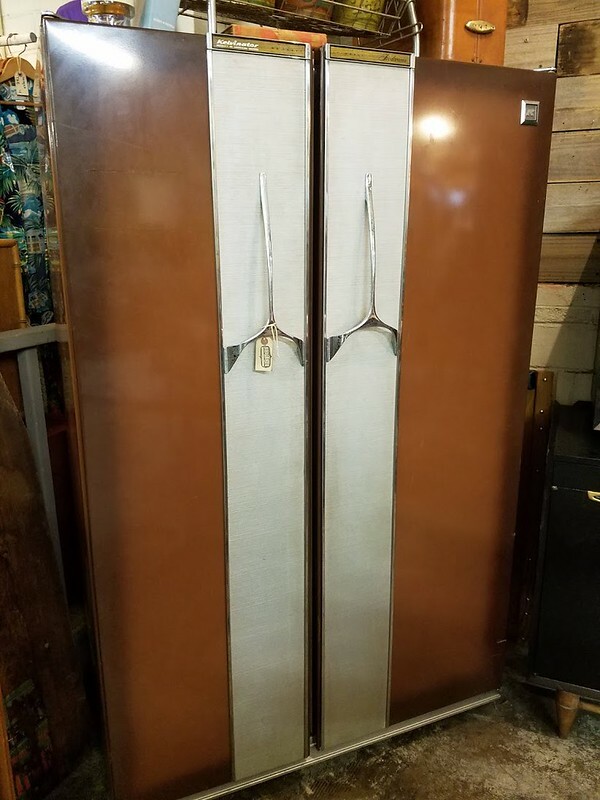 One of the unique things they had was a vintage Kelvinator Trimwall Foodarama side-by-side fridge/freezer. It was in amazing condition so my guess is that it was probably installed new in a home around here and the house stayed unremodeled all these years – until likely recently, when the owners might have passed away and the house was updated and/or sold. So, I was curious about it and did a little googling. 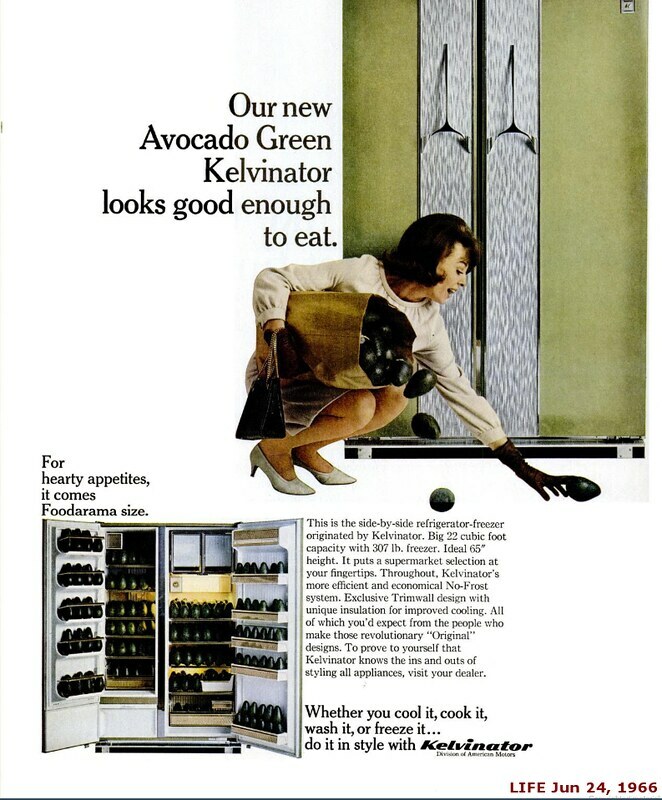 Turns out the Kelvinator Trimwall Foodarama was advertised as a new product in LIFE magazine in 1966. (The one in the ad is “Avacado” but it’s identical to the one for sale at the antique store.) Ok, so we had a date for it’s release. What about price? I was also able to find a Consumer Digest Guide listing three models. From the advert I know it’s the 22 cubic inch version and this one is “no frost” but I didn’t see an automatic ice dispenser meaning it’s likely the mid range version. That gives it an original retail somewhere around $679. Using an inflation calculator, that makes it $5,263.83 in today’s money. This was certainly a luxury, high-end appliance! If, based on my logical deduction that it’s been in a home since 1966 (otherwise, it would have long since been thrown out!) 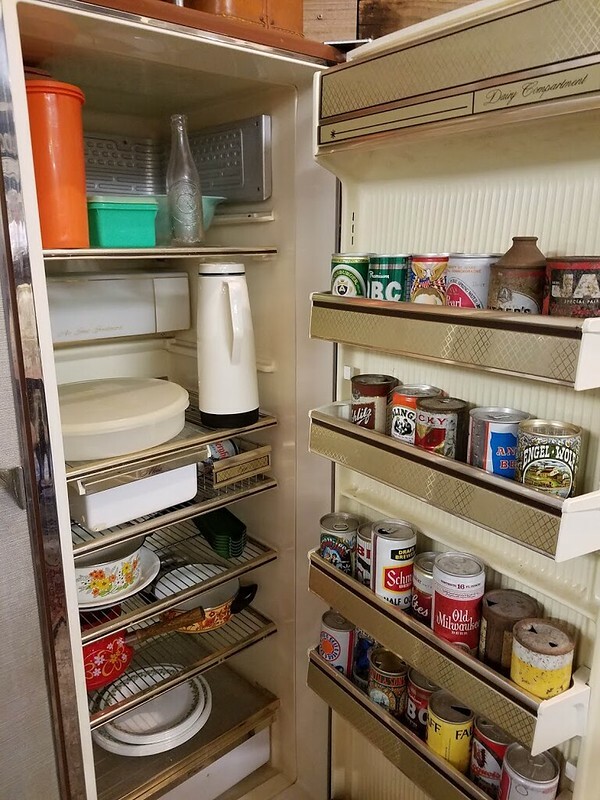 it also likely still worked (because a fridge is not the kind of thing you can do without), that investment certainly was worth it for 50+ years of usage! It’s pretty neat that with about 20 minutes of research, I was able to find out so much about this vintage piece. I love learning things like this; just random bits of admittedly mostly useless knowledge, but still very satisfying to uncover. This shows how relative prices have changed. 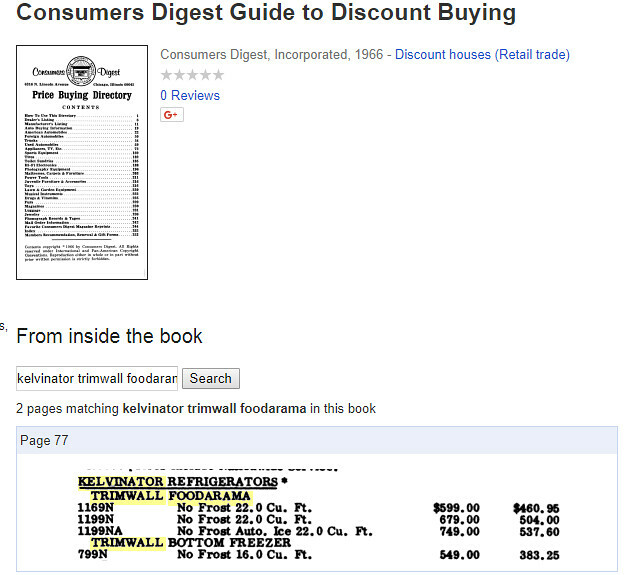 Today a “high end” refrigerator is priced about $2500, half of the Kelvinator’s price after adjusting for inflation. Yet being advertised in Life it was likely not a high end luxury product, so an comparable refrigerator today might be in the $1200 range. It’s also possible to buy a refrigerator for the same $600-700 today that one cost 50 years ago. Going a bit off topic, The lower price shows one reason people complain we live in a “throw away” society today. Many products such as appliances have close to the same dollar price as 50 years ago but repair costs are 3-4 times higher. Why spend $300 to repair a product which cost $500 to begin with?